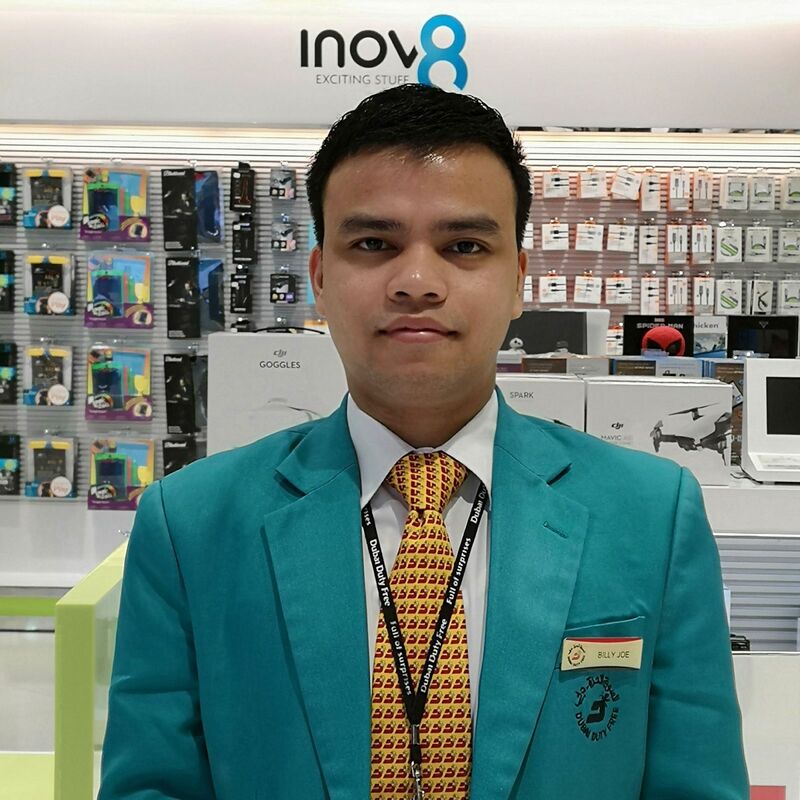 “To become an improved version of myself, I try to learn everything from my daily job, work experiences, colleagues and from failures,” says Dubai Duty Free sales assistant Billy Joe Borjal. Employer’s comments: Billy Joe Borjal joined Dubai Duty Free on 8 January 2013 as a sales assistant. His first assignment was in T1 food plus, before he moved to the sunglasses area. As well as undergoing product training, he always researches the products he is handling to learn more and develop his self confidence in suggesting the right product to the customer. In September 2013, he was assigned to the sunglasses area at Al Maktoum International Airport until he was moved to Gifts from Dubai, fashion and electronics. He found the electronics area so fascinating that he joined as an electronics specialist for Dubai Duty Free at the airport. He attended various trainings on mobiles, laptops, cameras, personal audio, and accessories as well as on being an electronic specialist. This improved his knowledge of handling customer queries, suggesting the correct product, closing the sale, upselling, and helping the customer feel satisfied with his or her purchase. Billy is simple yet very effective in his area of expertise. He was named Employee of the Month in October 2014 and received a WOW card for his patience and product knowledge. His high value sale of AED10,764 in a single transaction on 4 October 2018 in electronics made him the sales performer of that month. Asael’s comments: “Be a better person tomorrow than what you are today because life is a continuous process of learning, understanding, forgiving and loving. To become an improved version of myself, I try to learn everything from my daily job, work experiences, colleagues and from failures.